PDF (Portable Document Format) from its name, it simply means on-the-go document. Most people use this format in sending emails, e-books and more. Why? PDF simply defies word processor incompatibility issues such as; Microsoft Office, Open Office and so on. Converted PDF or PDF file keeps your document font’s style where ever you open it, unlike word processors that replaces your font style whenever your computer or the word processor itself doesn’t have one. PDF keeps your document’s formatting style. PDF is safer, because you can password protect it. 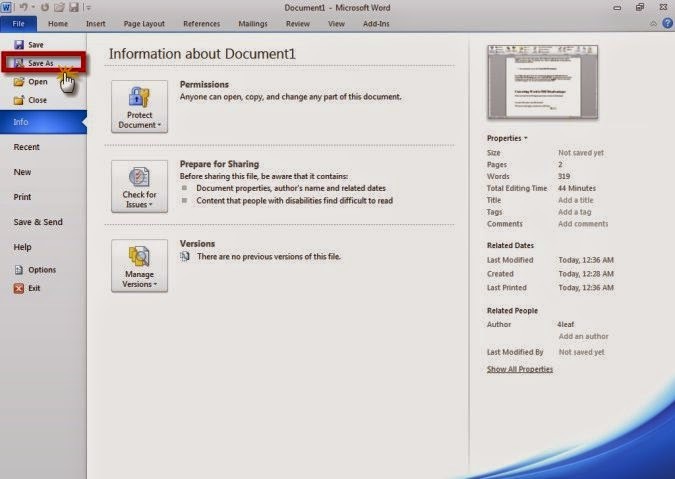 PDF can be opened in whatever environment, whether you are using Microsoft or Mac. Just bring this handy PDF reader. PDF cannot be easily corrupted or infected by any virus. How to convert Word to PDF without using third party software? 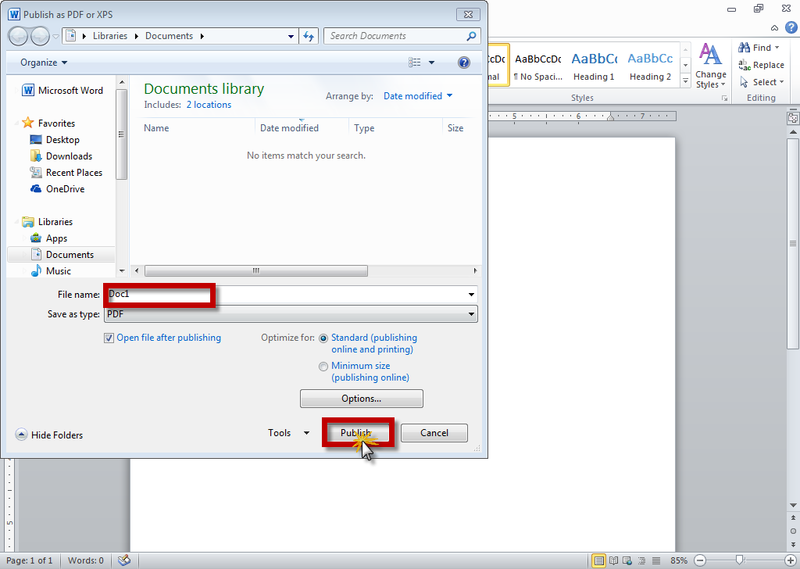 There are two ways to convert Word to PDF in Microsoft Office 2010. First, is to use the “save us” option of Microsoft Word. Open the file that you want to convert to PDF, then go to “File” at the upper left-side of the open document. Click it to show more options. Select “Save us”, toggle the save us type, look for “PDF” and click it to select. Now push the “save” button. Congratulations, you just made your Word Document into PDF file. 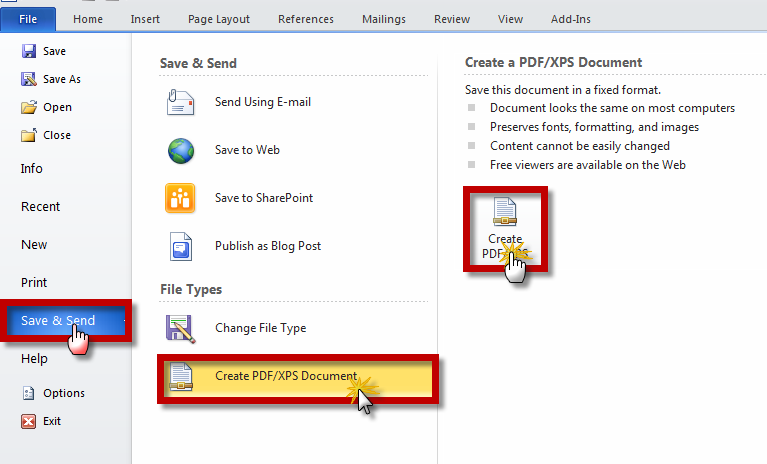 The second option is to use the “Create PDF/XPS document”. 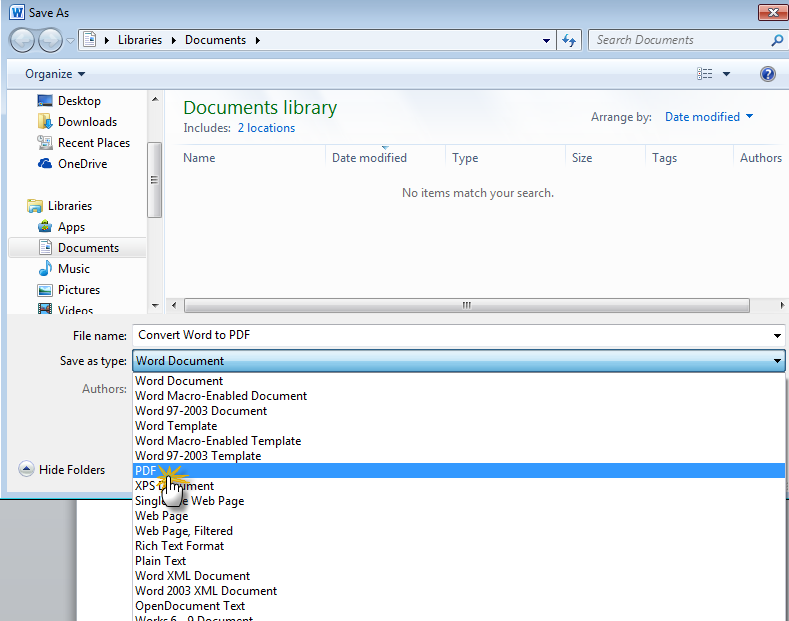 Go to “File” at the upper-left of your word document, then choose “send and save” next “Create PDF/XPS document” now click “Create PDF/XPS”. On the pop-up window type the filename that you want your PDF file to be named and click “publish”. Wait for a second and your PDF file opens. Yes! You just converted your Word to PDF. While converting Word to PDF harvest a good result, it also has its disadvantages. Converting Word to PDF is a much easier today than before. And its advantages outweighs the disadvantages. Now you know, that Microsoft Office 2010 is powered by the built-in converter that’s capable of converting Word to PDF. You can now convert Word to PDF without spending extra money for third-party Word to PDF converter. Aside from that, the conversion process of Microsoft Office 2010 as well as the PDF output is clean, the format remains the same, which the third-party PDF converter usually fails. Do you have any idea of converting Word to PDF? Share it with us?